The Solenex well site in the Badger-Two Medicine area. MTPR's Corin Cates-Carney explains the origins of the oil and gas leases the Blackfeet Nation is now trying to remove from the Badger-Two Medicine area. 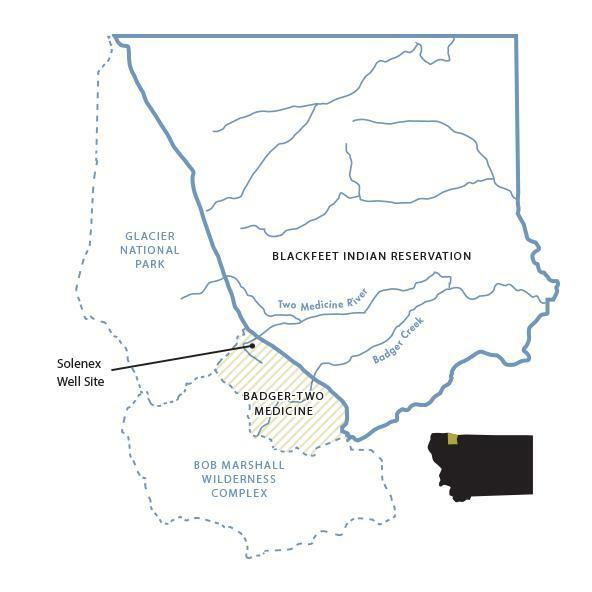 The Blackfeet Tribe and Louisiana company Solenex met Thursday in Great Fall to discuss a 30 -year-old land dispute. 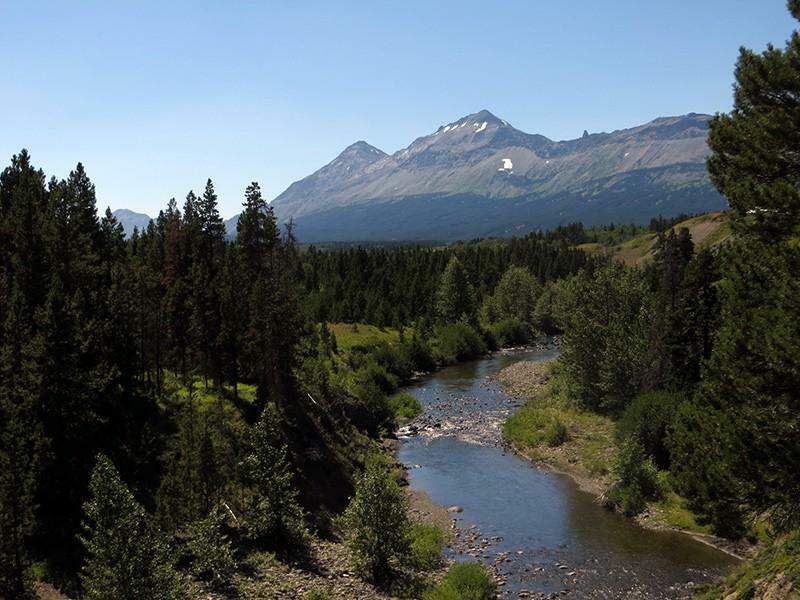 On the table between them: the Badger-Two Medicine, a mountainous tract of U.S. Forest Service land flanked by Glacier National Park, the Blackfeet reservation and the Bob Marshall Wilderness. 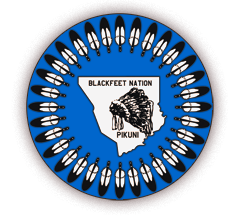 The seal of the Blackfeet Nation. The debate started with Reagan-era oil and gas leases. In 1982 the Bureau of Land Management issued Solenex a 62-hundred acre lease in the Badger-Two Medicine, for a dollar an acre. Timothy Preso, an attorney with Earthjustice, says that lease, and 47 others, should have never been granted. “These leases were illegally issued because there was not sufficient environmental review or cultural resources review before the Interior Department issued them to the leaseholders," said Preso. In 1993 then-Montana Senator Max Baucus introduced the Badger-Two Medicine Protection Act that would have prevented any oil and gas development there. The act didn’t pass. But, also in 1993, then-Interior Secretary Bruce Babbitt suspended the remaining leases, and did it again in 1996 to comply with the National Historic Preservation Act. Since then, most of the Reagan-era leaseholders have taken buyouts, or trades for other leases. Some left the Badger-Two Medicine voluntarily. In 2004 and 2007, the Blackfeet sent leaseholders letters, asking them to give up their development rights. But Solenex and another company that holds the remaining 18 leases have held on. Now, the tribe and the National Congress of American Indians are launching a new campaign to prevent any oil or gas drilling. They’re negotiating with Solenex today, urging the Department of Interior to cancel any remaining leases. Two Medicine River near the Hall Creek Trail. Chief Earl Old Person says The Badger-Two Medicine is the site of the Blackfeet creation stories, and his tribe doesn’t want to see the land drilled in a search for monetary value. “Money is good. I heard you mention money," said Old Person. "It can do a lot of things. But it’s also bad, dangerous; it can cause us problems and that’s why we are sitting here today. Areas we have lost, we have received something from them. And today that which we received we are still talking about. And so it’s not all just money." The legal fight over oil and gas drilling leases near Glacier National Park has drawn the support of a coalition of tribal and conservation leaders. In March, the U.S. Department of Interior canceled a 30-year-old oil and gas lease in the Lewis and Clark National Forest - land also known as the Badger-Two Medicine. Shortly after the federal government canceled the lease, the former leaseholder, Solenex LLC, challenged the government’s authority to do so. The Obama administration has canceled a long disputed oil and gas lease in the Badger-Two Medicine area of the Lewis and Clark National Forest, a few miles from Glacier National Park. A few miles outside Glacier National Park in northwest Montana is land known as the Badger-Two Medicine, the ancestral home of the Blackfeet tribe. But it's also the site of 18 oil and gas development leases, and an energy company is heading to federal court March 10 to fight for the right to drill there after decades of delay. 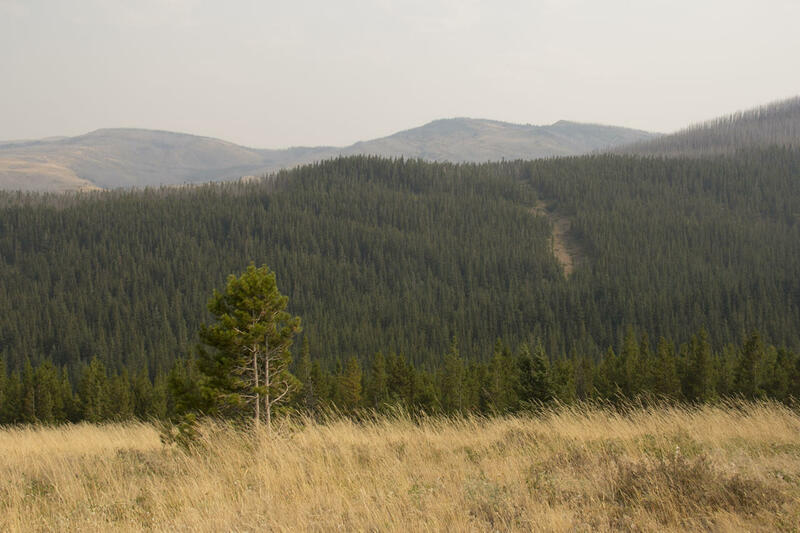 Blackfeet tribal historian John Murray doesn't want the drilling to begin. BILLINGS, Mont. (AP) — A Louisiana company has asked a federal judge to block government plans to cancel a long-stalled federal energy lease on land considered sacred to American Indians.